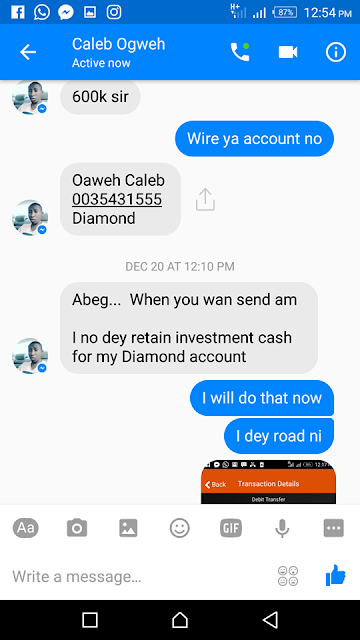 Since January till now, Caleb Ogweh has never paid his investors. 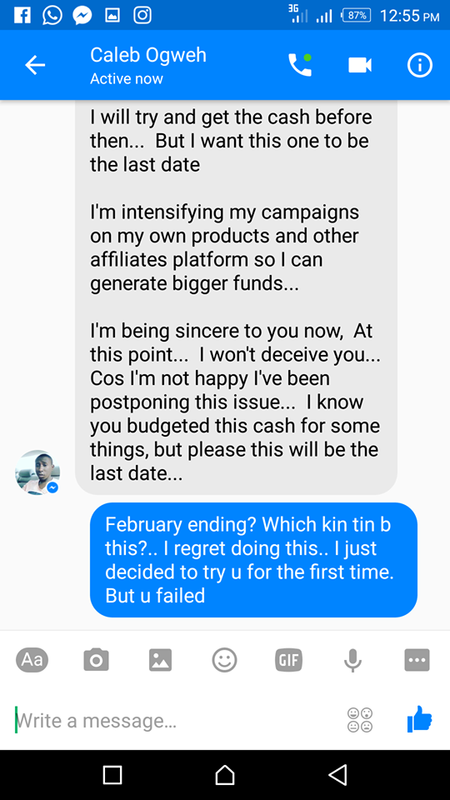 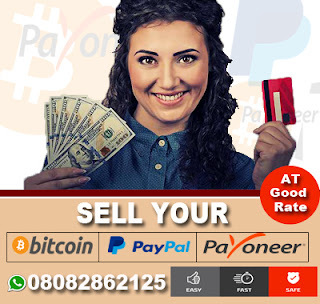 A follow internet marketer Femisky discussed to us that he invested 300,000 Naira in the investment program since January 2017 but he has never received his ROi till today. 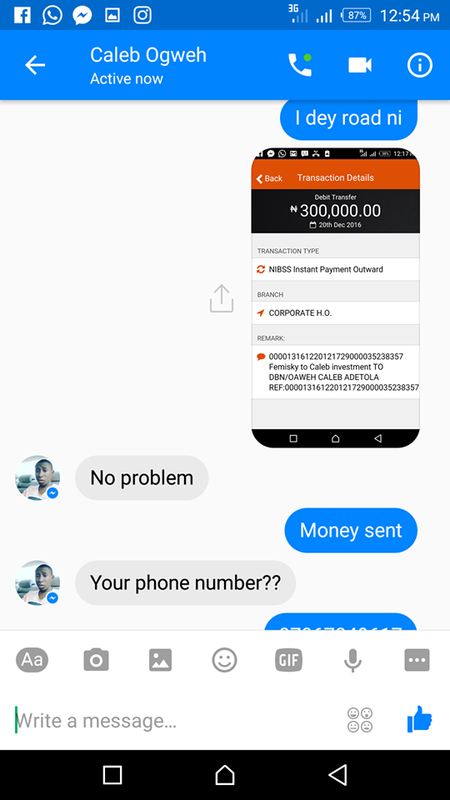 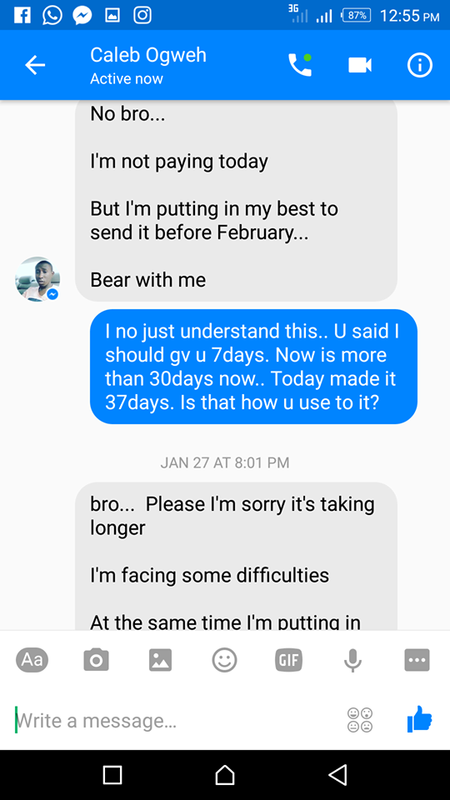 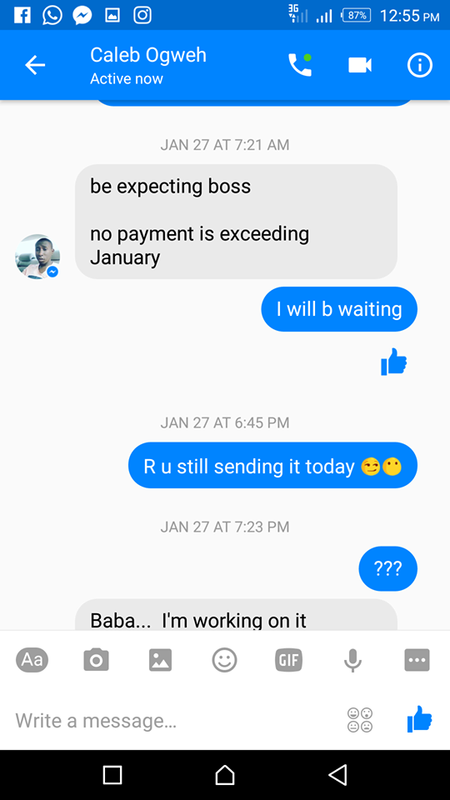 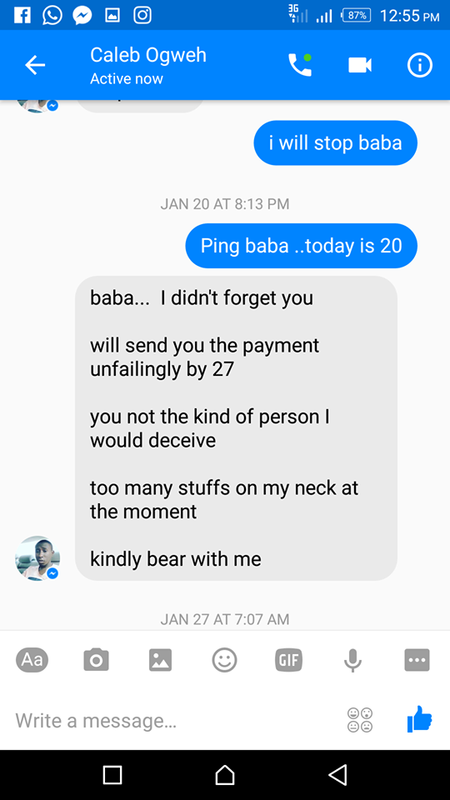 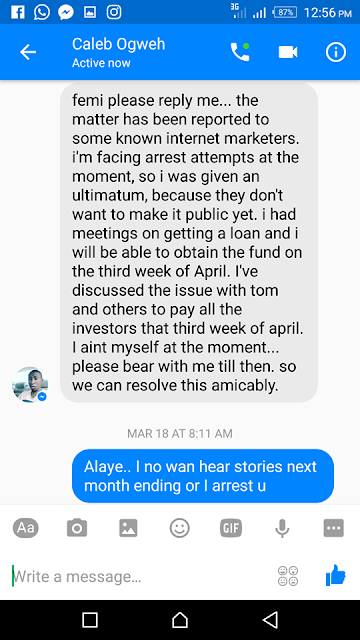 Another Internet marketer Mrs Nancy Chuks also released her own ordeal to us that she invested 250,000 Niara too but he has never received her own ROi till date. 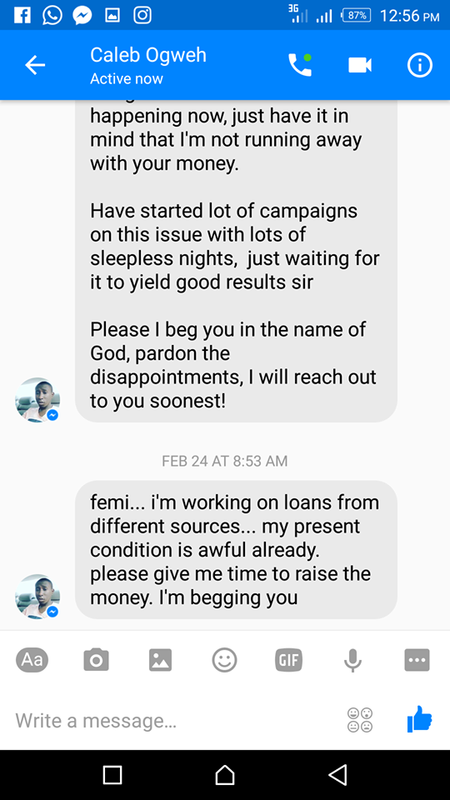 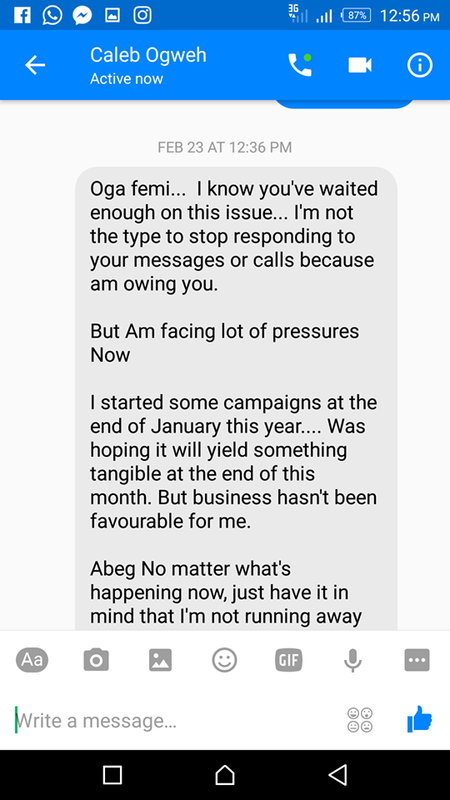 Other report we got from Internet marketer Femisky is that Caleb Ogweh has collected 15Million Naira from all investors who invested and has refused to pay nor give reason why the payment was delayed. 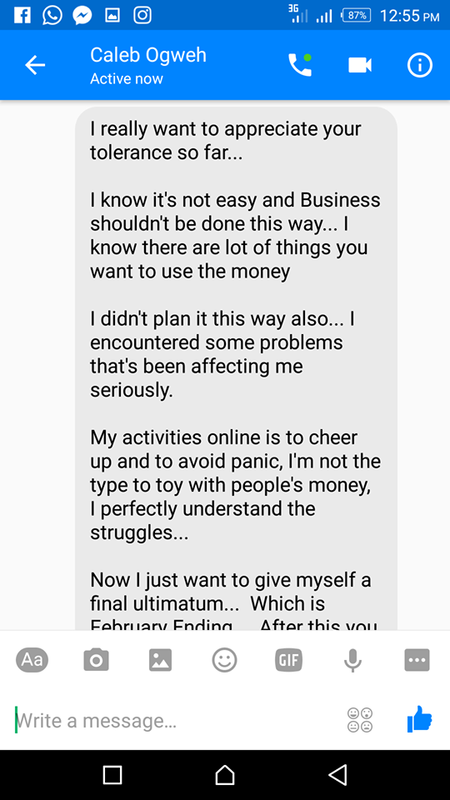 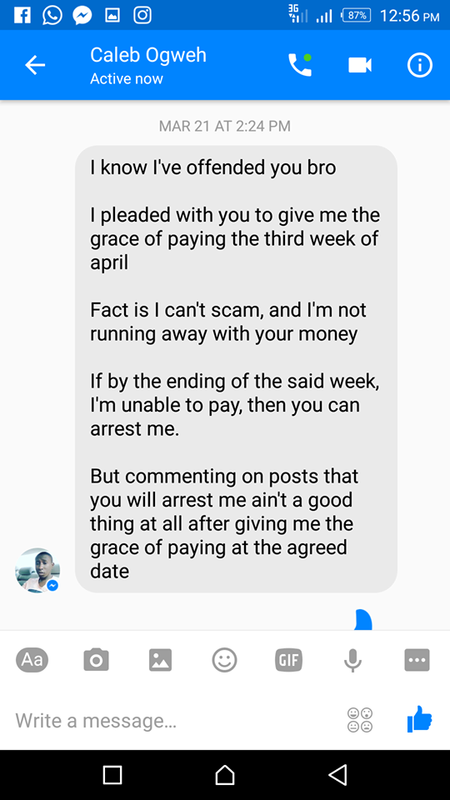 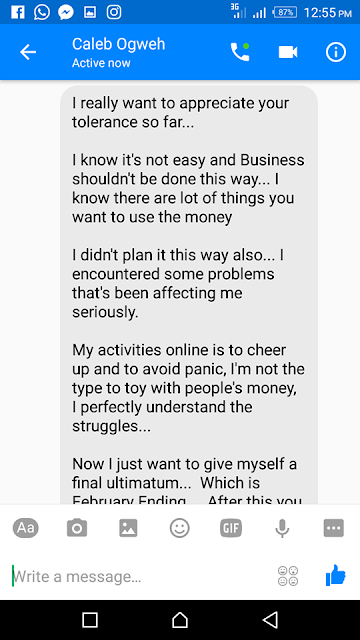 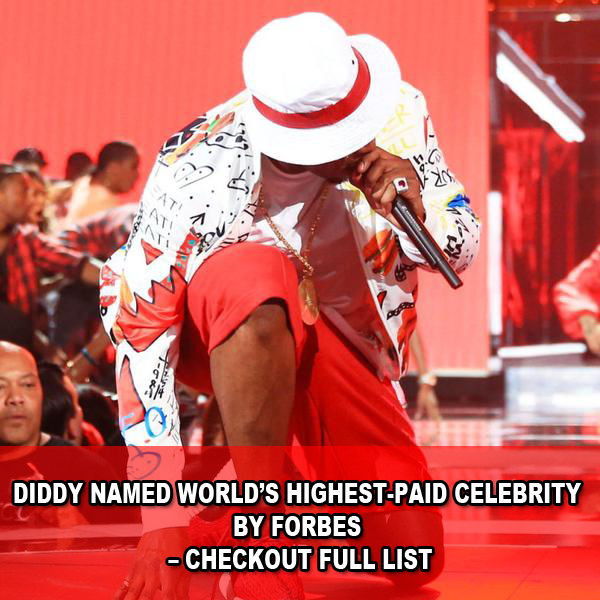 He also said that he will get Caleb Ogweh arrested soon and ruin his reputation if he doesn't pay the 200% ROi. Here is some proofs he provided. 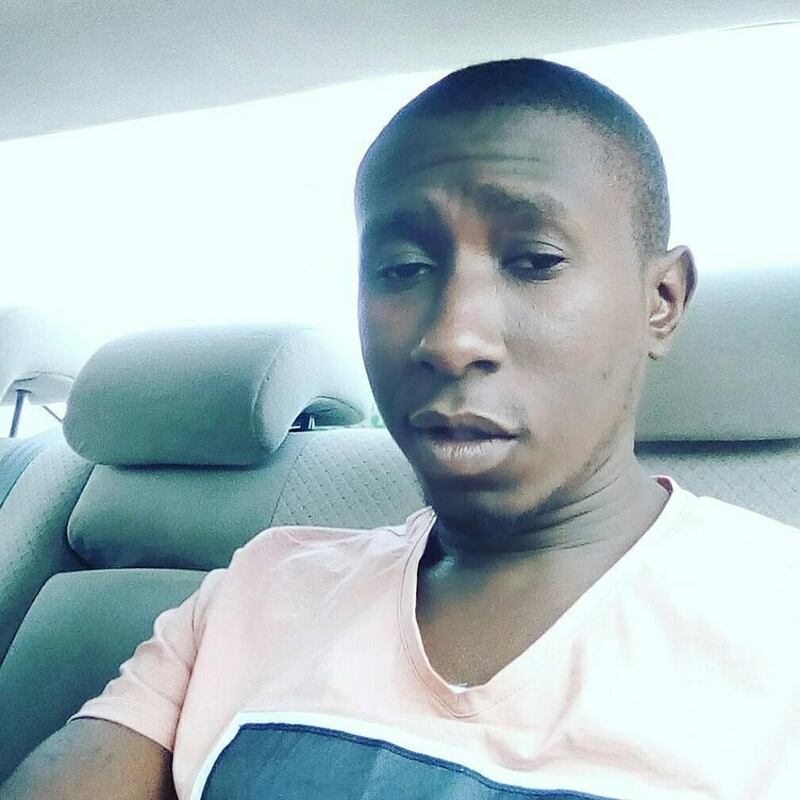 1 Response to "Internet Marketer Caleb Ogweh To Be Arrested After He Refused To Pay ₦15Million ROi That Was Invested In His Program"